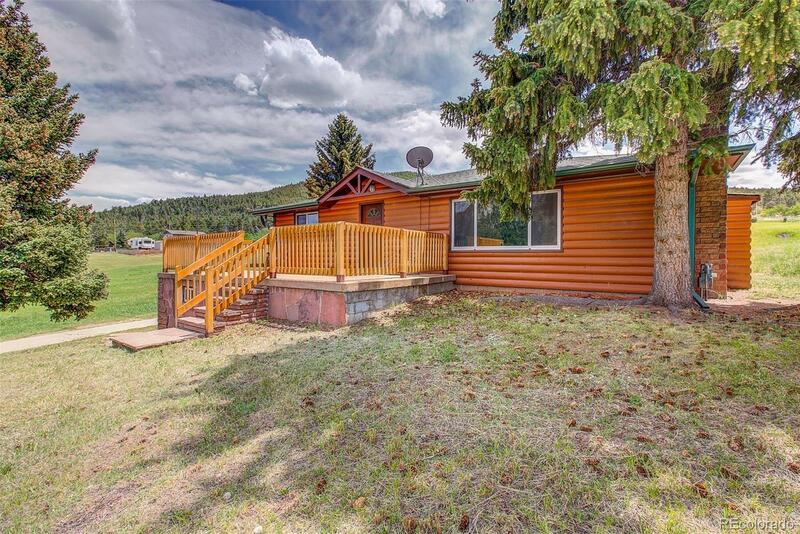 Gorgeous Log Ranch Home on nearly 2 acres!! Open floor plan perfect for entertaining featuring: updated kitchen, wood floors, and endless views throughout! Spacious living room overlooks mountain, meadow, and water views with elaborate wood fireplace. Upstairs has two bedrooms accompanied by full bath. Descend downstairs into the master bedroom with walk-in closet and full bathroom. Lower level oversized recreation room featuring butterfly doors blend mountains into your home. Sprawling acreage contains private Aspen reserve. Property offers easy access to 285 and rests nearly next door to Meyers Open Space!